Ligue One’s two leading marksmen are injury doubts for Paris Saint Germain’s duel with Toulouse. Top scorer Kylian Mbappe Lottin’s eleven goals have underpinned the champions’ one hundred percent start to the campaign but he limped out of France’s 1-0 victory over Uruguay with a shoulder injury. Mbappe could be joined on the sidelines by striker partner Neymar Junior, as the world’s most expensive player is recuperating from an abductor muscle strain he suffered on duty with Brazil. Thomas Tuchel’s Parisians set a new European record of thirteen straight wins at the commencement of a season when they whipped Monaco 4-0 just before the international break. 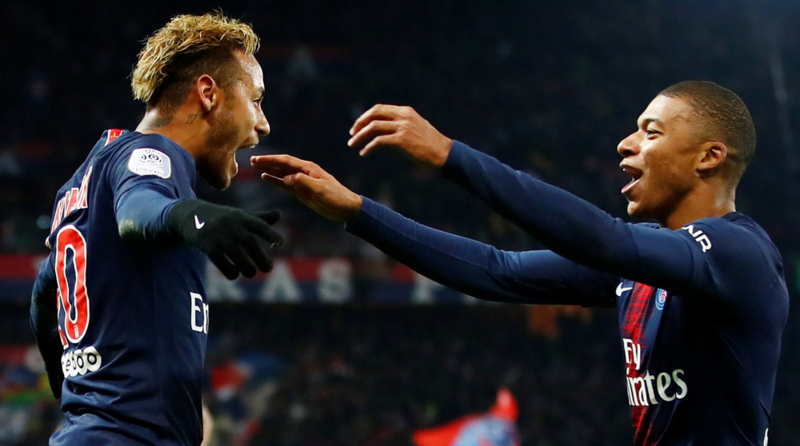 Even without the injured pair, PSG are odds on favourites to extend their run against a Toulouse side that has won just once in nine French Ligue One outings. Action in France however, begins on Friday night with Bruno Genesis’ Lyon hosting 1970s titans Saint Etienne at the Parc Olympique Lyonnais. A fortnight back, the hosts ended a lean spell with an imposing 4-2 triumph over basement club Guingamp. Dutch international striker Memphis Depay, who was unplayable in that game, will once again carry Lyon’s attacking threat. Christophe Galtier’s high achieving Lille Metropole face a daunting trip to on form Nice. Patrick Vieira’s southerners have won three games on the bounce to put behind an indifferent start to the campaign. Second placed Lille are meanwhile winless in their last two encounters, following up a 1-2 reverse at the Stade de France with a goalless stalemate at home to Strasbourg. A particularly fascinating contest is anticipated at Montpellier, where the third placed hosts welcome Sabri Lamouchi’s Rennes. The visitors are not punching their full weight but in Senegal forward Ismail and France international Hatem Ben Arfa they possess a strike force capable of upsetting the form book. Elsewhere, Thierry Henry will be gunning for his first Ligue One win when he takes 2017 champions Monaco to Caen. The rest of this weekend’s fixtures see misfiring Olympique Marseille travel to Amiens, red-hot Nantes welcome Angers, Reims collide with Guingamp and Strasbourg battle attack minded newcomers Nimes.